One year ago today I took Making Up from tumblr. 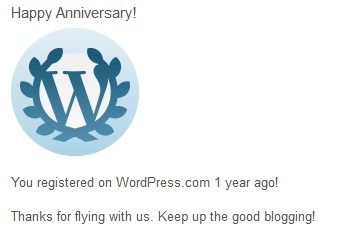 and began it’s more serious journey on WordPress. Although I still have such a long way to go, I’m proud of my achievements for this year as I continue to blog about the latest beauty products with a hint of lifestyle and fashion. This blog has given me some great opportunities and allowed me to meet some lovely people, and I hope the next year will be even better! I’m constantly trying to improve my blog, and soon you will see the new content I have been planning. As I’ve said before though – I still have such a long way to go, so if you have any comments or if there’s anything you’d like to see on here, please do let me know in the comments or feel free to email me.